Define embarrassed!! if that’s Fairway on 72nd, civilization ceased under the wheels of a shopping cart wielded by ‘you know who’ before the dinosaurs were in the natural history museum. As for embarrassed, it would require an empathy that would make the sign superfluous. Loved the pasta and anchovy blog. G.
Try 86th Street. 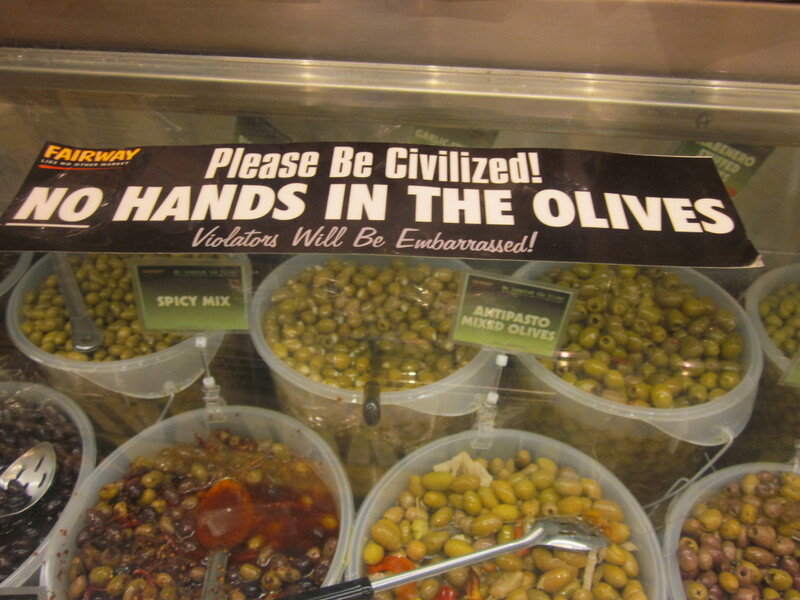 Same un”civilized” prices, I’m afraid.